Neubauer's Flowers is pleased to offer 2 separate, convenient locations for all of your floral needs. Please feel welcome to stop by at your earliest convenience or to click on each location for a detailed map and driving directions. Neubauer's Flowers Inc. is a fourth-generation, full-service flower shop that's been providing flowers and gifts to locals for more than eight decades. Our shop is known throughout western Pennsylvania for unique floral designs, as well as our beautiful, blooming plants. Our shop is the preferred florist at Nemacolin Woodlands Resort and the Historic Summit Inn. We offer a Flower of the Month Club so you can receive fresh flowers and plants that are delivered monthly on the day of your choice. 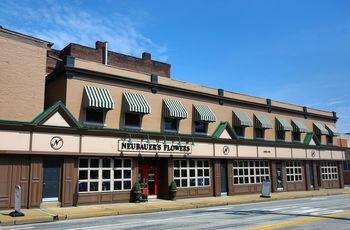 Neubauer's Market House is located at 36 E. Church St. Uniontown, Pa. 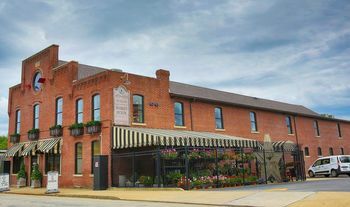 Located in the historic Livery Building; this 15,000-square-foot facility features an array of home and seasonal decor. Browse our selection of silk arrangements and wreaths; home fragrance; collectibles; gardenware and outdoor plants; Qudo Jewelry; MacKenzie-Childs; Vera Bradley; Votivo, home accessories and more.